Mug Club is Back for the Whole Year! 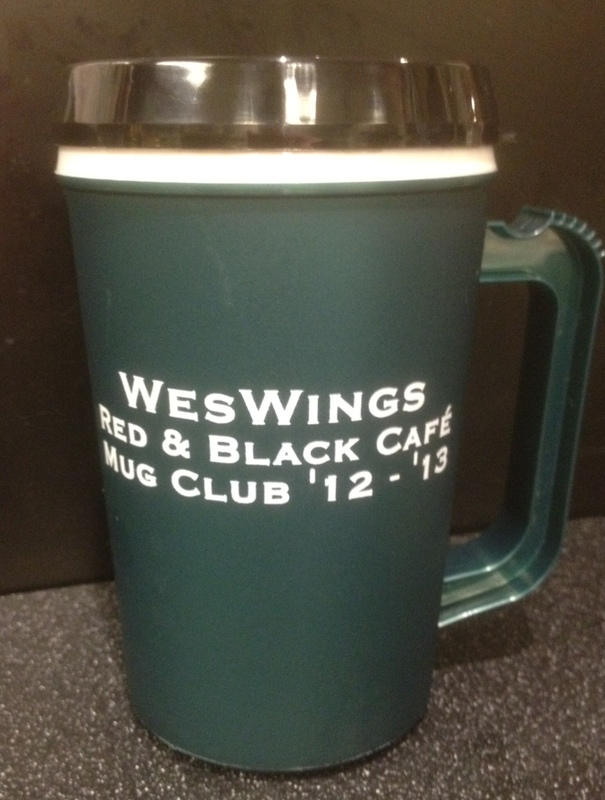 Last semester we began the WesWings and RBC “Mug Club.” A way to save both money and the environment. The deal is simple. Purchase a mug once and never pay for soda or iced coffee the rest of the school year. The mugs are good at both locations with a limit of one fill up per visit. Last semester the cost was 20 points. We’ve doubled the time to the whole 2012-2013 year and are only charging 35 points. The mug pays for itself in fewer than 15 visits. If you only come to either location once a week, you’ll have recouped your money by December. If you’re a regular, you can save hundreds of points. This entry was posted in Sustainability and tagged deals, mug club by weswingsguy. Bookmark the permalink.